It’s incredible to see how many times Mitt Romney has flip-flopped on issues. 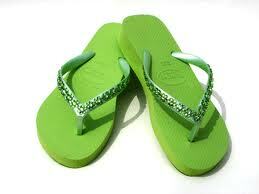 In fact, there are so many that I’ve created a huge catalogue of Mitt Romney flip-flops that grows larger everyday. These days, Ann Coulter has come out as a strong supporter of Mitt Romney for president. Virtually every day she is out saying something in support of Mitt: “He’s the most electable.” “He’s the most conservative.” She is becoming more and more like the lying candidate who she supports. In fact, much like the flip-flopping Mitt Romney, Ann Coulter has flip-flopped on supporting him. In 2008, she was for him. In 2011, she was against him because he would lose. Now, she’s claims that he can win. See for yourself in the videos below. We’ll call this the flip-flop for Mitt Romney campaign. Ann Coulter now regularly calls Mitt Romney the most conservative candidate. It’s funny that, in 1994 Senate campaign, Mitt Romney said that he “was an independent during the time of Reagan/Bush.” Then, in the 2002 Massachusetts Gubernatorial campaign, Mitt Romney affirmed that “his views are progressive.” Never fear though, Ann Coulter assures us that he’s the most conservative. Sure Ann, whatever you say. Ann Coulter now says that Mitt Romney can win. Mitt Romney’s flips-flops are legendary. Thoroughout the 2008 and 2012 presidential campaigns, various groups have made numerous videos of Mitt Romney’s flip-flops. 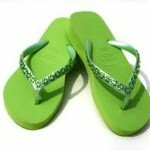 The actual number of flip-flops is difficult to count because he has flip-flopped on so many issues. However, I thought that I might take a stab at compiling all of the Mitt Romney flip-flop videos that I could find, just to see how many there are. This first video comes to us courtesy of the Democratic National Committee (DNC) and provides a glimpse of what we are likely to see in the fall 2012 campaign, if Mitt Romney wins the republican nomination. The video contains flip-flops on the stimulus, abortion, Reagan, Obamacare, hiring illegal immigrants, manmade global warming, the Ohio union proposal, the no new taxes pledge, the assault weapons ban, TARP, and the auto industry bailout. More links will be added here as I post more videos: Part 2, Part 3, Part 4, Part 5, Part 6, Part 7, Part 8, Part 9, Part 10, Part 11, Part 12, Part 13, Part 14, Part 15, Part 16, Part 17, Part 18, Part 19, Part 20, Part 21, Part 22, Part 23, Part 24, Part 25, Part 26, Page 27, Page 28, Page 29, Part 30, Part 31, Part 32, Part 33, Part 34, Part 35, Part 36, Part 37, Part 38, more to come . . . This ads comes courtesy of the Democratic National Committee (DNC) and contains Mitt Romney’s incredible flip-flop on whether Barack Obama has made the economy worse or not or maybe or maybe not. Who knows? Click to go back to the beginning. This ads comes courtesy of the Democratic National Committee (DNC) and contains an incredible Mitt Romney flip-flop on being concerned about the poor. Click to go back to the beginning. This video comes is from 1968 and shows Mitt Romney’s father, George Romney, flip-flopping on his support for Vietnam. This begs the question, “Is flip-flopping hereditary?” Click to go back to the beginning.